Since we arrived in Greenville, SC this week, I am officially two cities behind in posting our Top Ten for Orlando. The Type-A part of me is embarassed! And the other part of me is just relieved I didn’t black out for the entire time we were there. 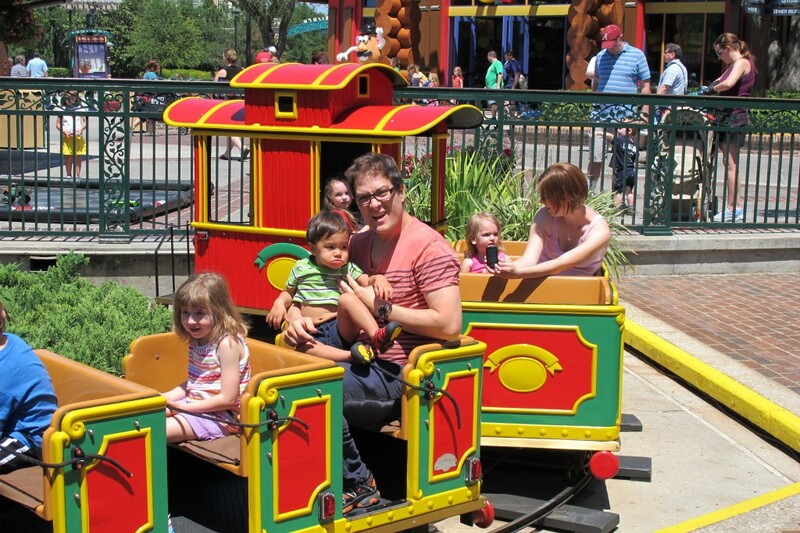 Orlando was an extreme situation in that we lived faaaaaaar from the theater and I took care of three amazing, energetic kiddos most days — which left little time for extraneous activities, much less blogging about them. My free time was spent resting and catching up on outside work. 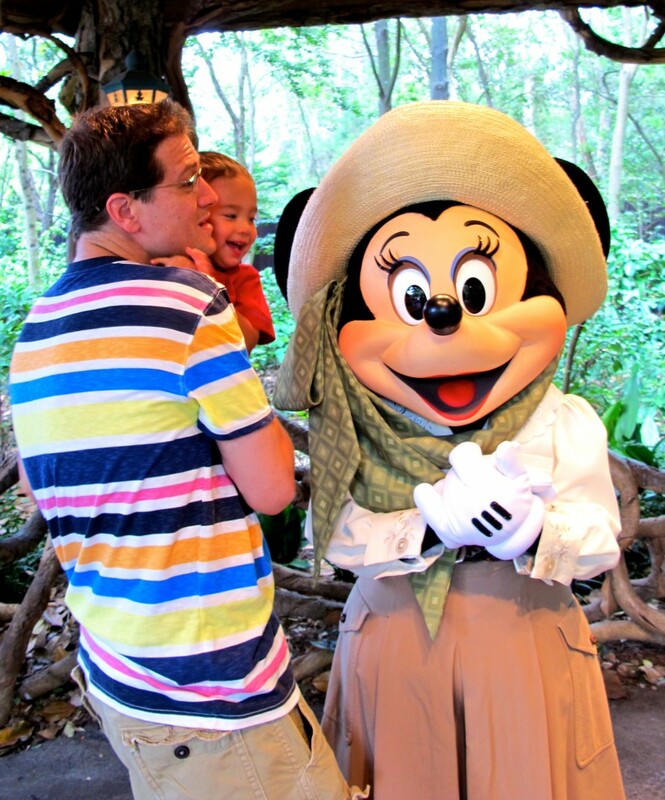 However, the Hollicks did make it out and about on occasion, and believe it or not, there’s plenty to do in Orlando besides the theme parks. You’ll see! 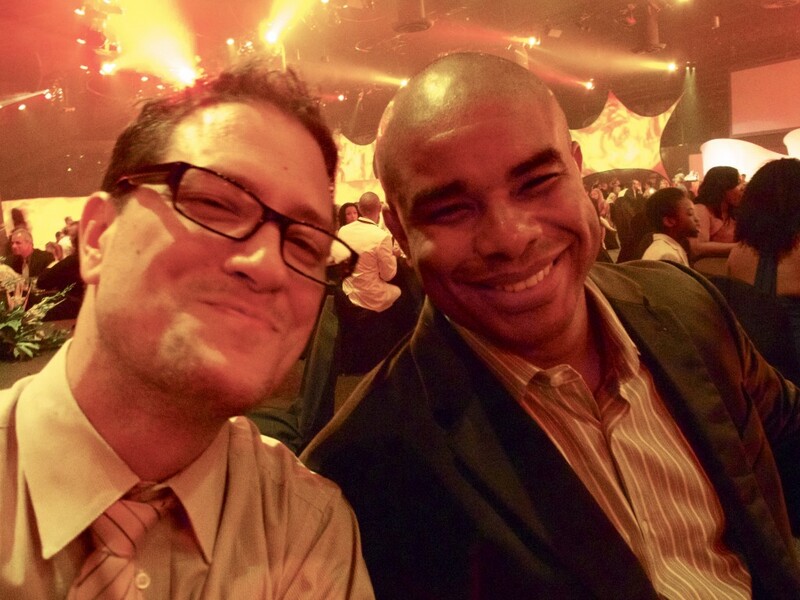 I readily admit that I’m the non-sentimental one in my little family. When I was about seven, my parents did take me to Disneyworld as evidenced in photos, but I truly don’t remember much except for being frightened out of my mind of life-sized Pluto and my mom screaming behind me “Close your eyes Angie!” on Space Mountain. Mike, on the other hand, could not wait to step foot in the Magic Kingdom. 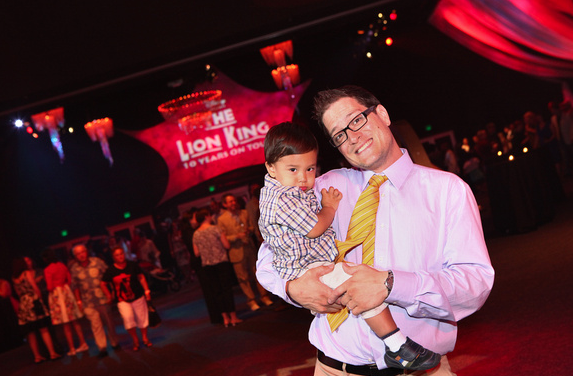 Through The Lion King, Mike got a few Park Hopper passes and we were able to visit Disney a couple of days for free. I was glad for that — to spend almost $90 per person for a sweltering day of line-waiting, expensive concessions and weary crowds, was more than this pragmatist could bear. 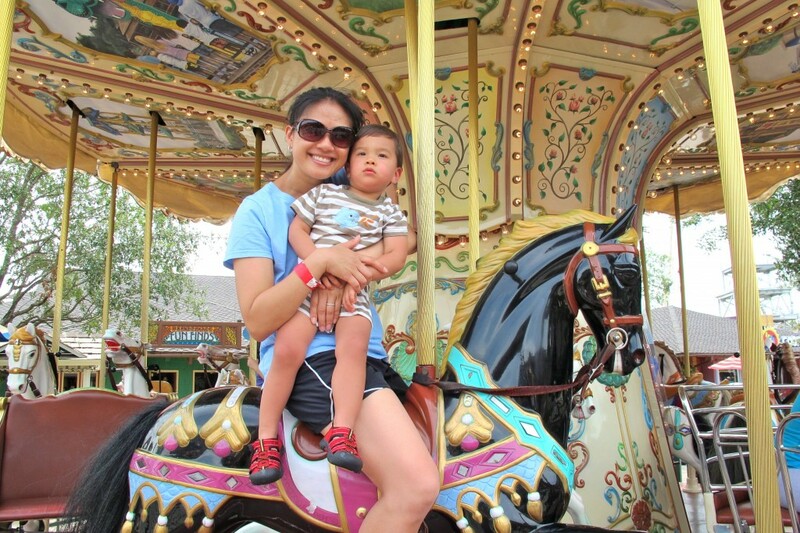 And because Max was too young to really enjoy the thrilling roller-coaster rides, we hit the few rides he could hang with like Dumbo and It’s A Small World, and wouldn’t you know? He was poker-faced the entire time. My kid is super hard to please sometimes. Hmmm. I wonder where he gets that from? 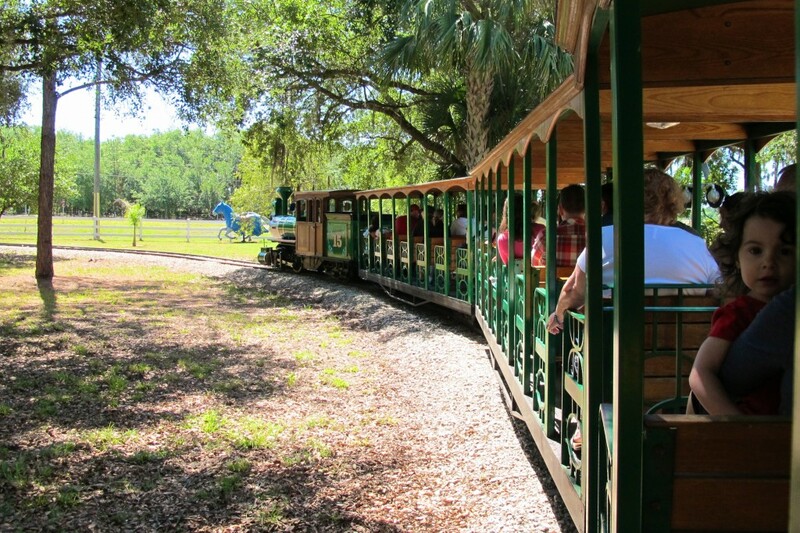 So here’s the Hollick Top Ten for Orlando — family-friendly, relatively cheap and kind of theme park-free! 10. Lake Eola in downtown Orlando. 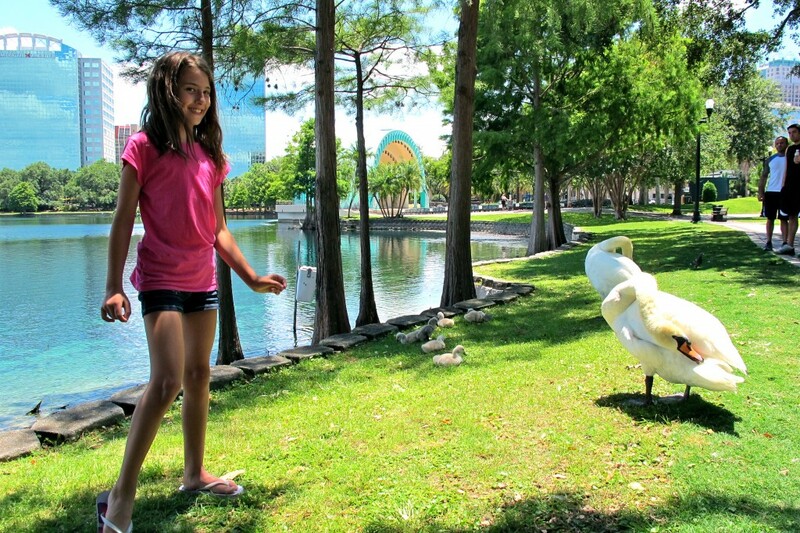 Swans, both black and white, seem to live in racial harmony at this large lake downtown. 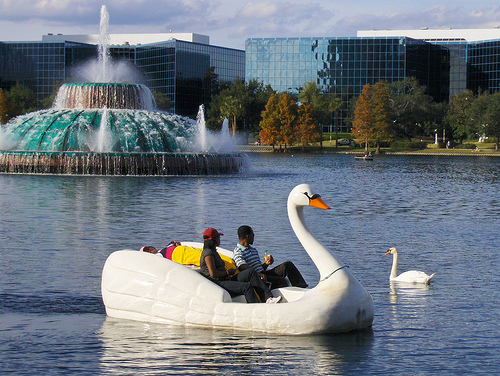 You can rent these swan-shaped paddleboats for an afternoon, and there’s a great playground to keep your child occupied for some time. There’s a sign posted that says “No adult is allowed in the playground area without a child.” Interesting. You need a kid to chaperone you? I suppose it’s a good way to keep out the derelicts and unsavories. Despite the notice, I still saw some defiant grown-ups in there, having lunch and reading on benches without kids in tow, since it’s so pretty in there. Max, in his infinite boyish fearlessness, took off running full speed towards a swan family, which included a cute herd of little cygnets. I was too slow to scoop him up, and the protective mom lunged at Max, gave a few angry squawks to stay away from her babies, and knocked Max down on his rear. I felt terrible as he cried. It’s a parental conundrum: I want him to have freedom to explore, but he’s getting into potentially hazardous situations so quickly! 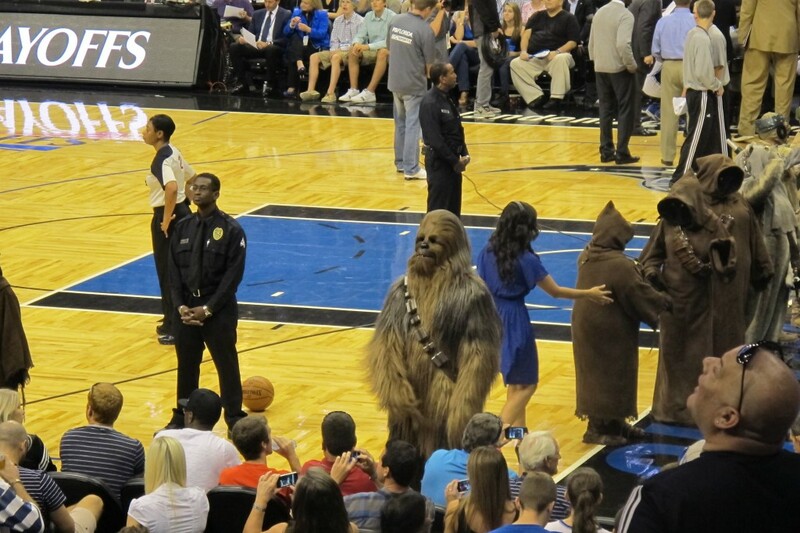 Below, Hero was much more cautious. 9. Animal Kingdom. This was the one Disney park (the largest of the four) that Max could enjoy from top to bottom, and the foliage designed throughout the park provided plenty of shade from the sun’s beating rays. 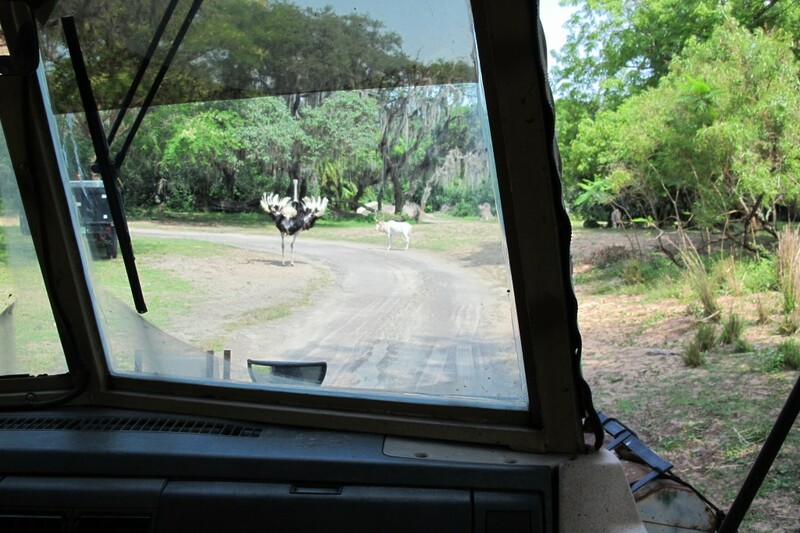 One of the best features was the Kilimanjaro Safaris Expedition, where you ride these large open-air utility jeeps and animals are roaming “freely” all around you. I use quotes because I’d like to believe there is some invisible electrical fence or heavy sedation keeping the beasts at bay while we sunburnt tourists snapped our photos. We witnessed a confrontation between an ostrich protecting her eggs, and an antelope-ish thing that poked her with its horns. This was truly exciting! 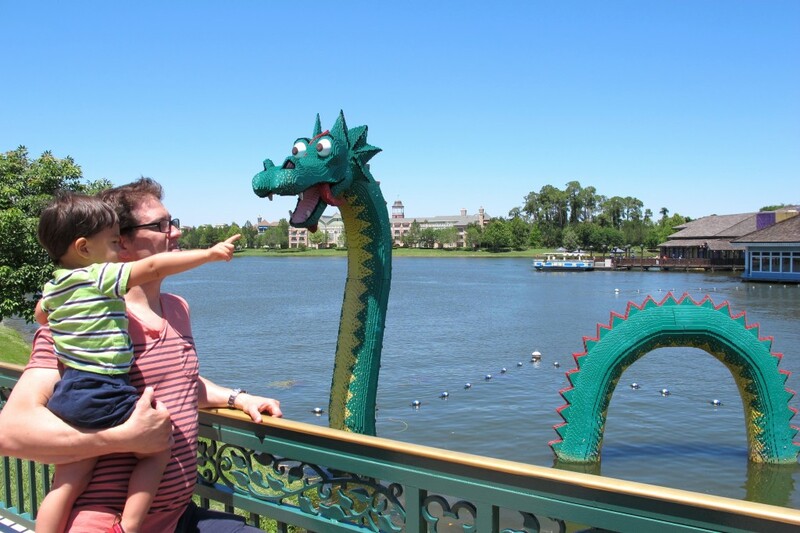 I suddenly forgot we were at Disney and felt like we were witnessing true wild animal behavior! I was like a kid rubbernecking in a schoolyard fight. Who would win? FIGHT! FIGHT! FIGHT! 8. 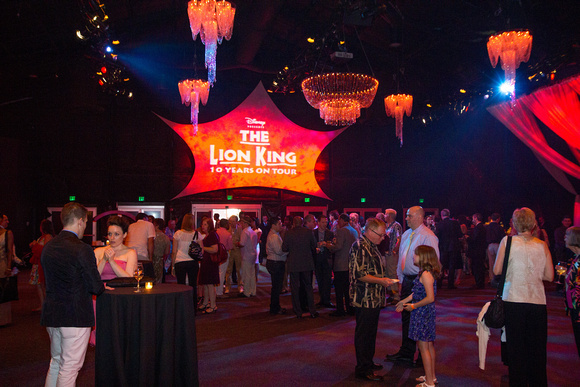 The Lion King Tour’s 10th Anniversary Party at Epcot. 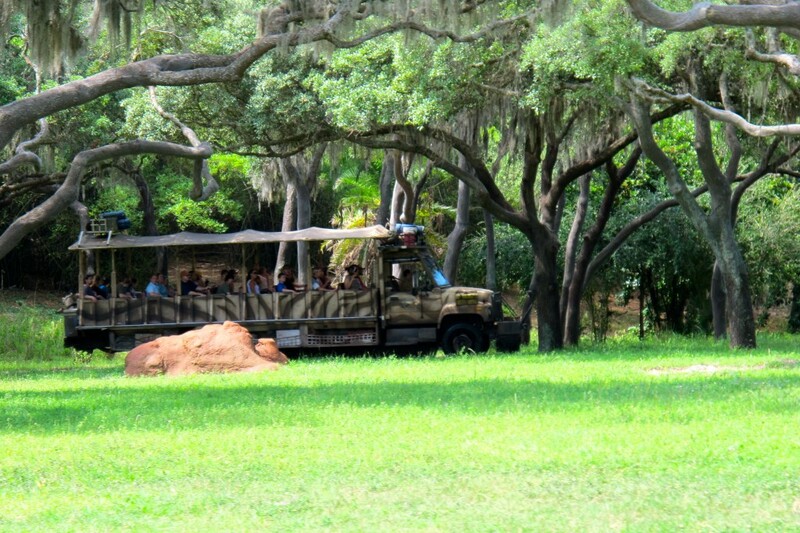 We are technically on The Gazelle Tour of The Lion King; there used to be 2 tours performing simultaneously around the U.S., but Disney closed The Cheetah Tour a few years ago. Anyhow, this year marks Gazelle’s 10th anniversary, and it was only fitting to hold the festivities while in Disneyworld! 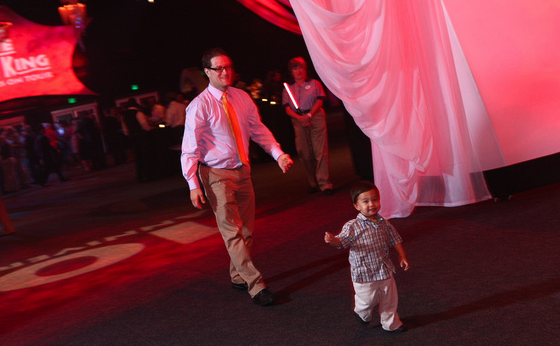 We were escorted into a back entrance to Epcot on a red carpet. 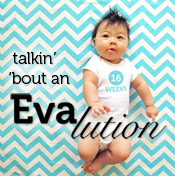 It felt pretty special — even with the stroller accessory! Max walked in like he owned the joint! 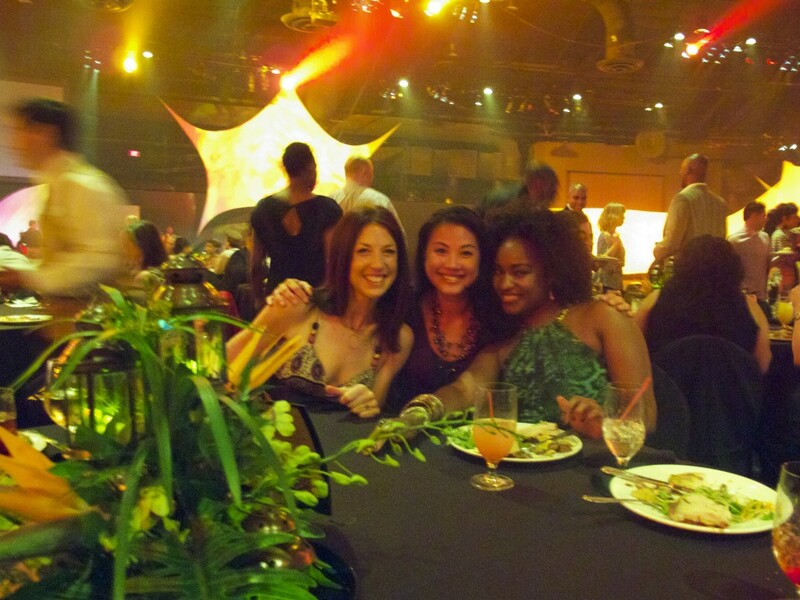 We had some great food and a sweet space to dance and hobnob. 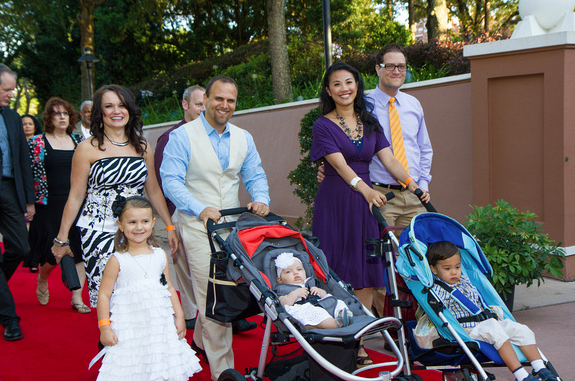 Here are Mike and Dionne Randolph (Mufasa), and me with my fellow mamas Amy Cordileone and Rashada Dawan. The evening ended with a cordoned-off VIP spot to view the nightly fireworks, and of course, a personal visit by Mickey and Minnie. These last two events rendered Max a bit upset, to my surprise. 7. The Ravenous Pig. Mike wanted to celebrate the big 3-9 in style, so we headed to tony Winter Park and had an artery-clogging, scrumptious lunch at this pork-centered gastropub. 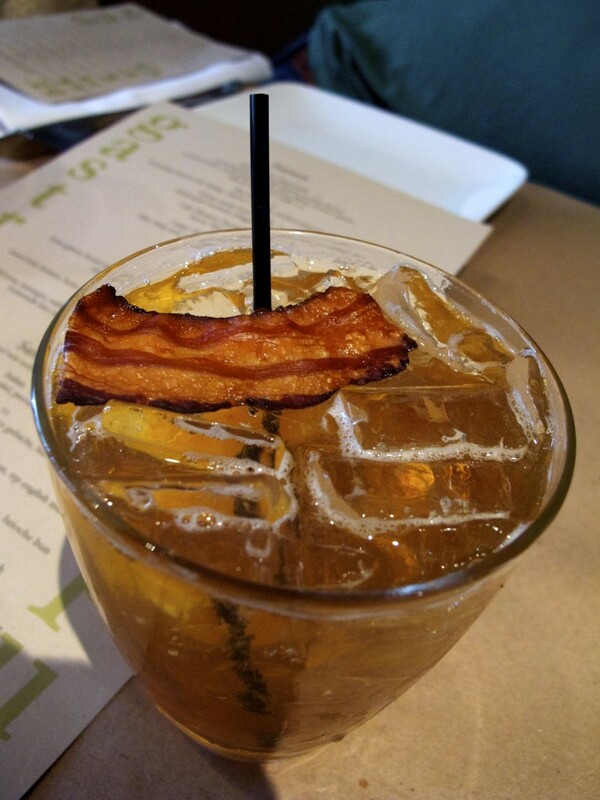 Check out Mike’s Old-Fashioned cocktail with the bacon strip garnish! 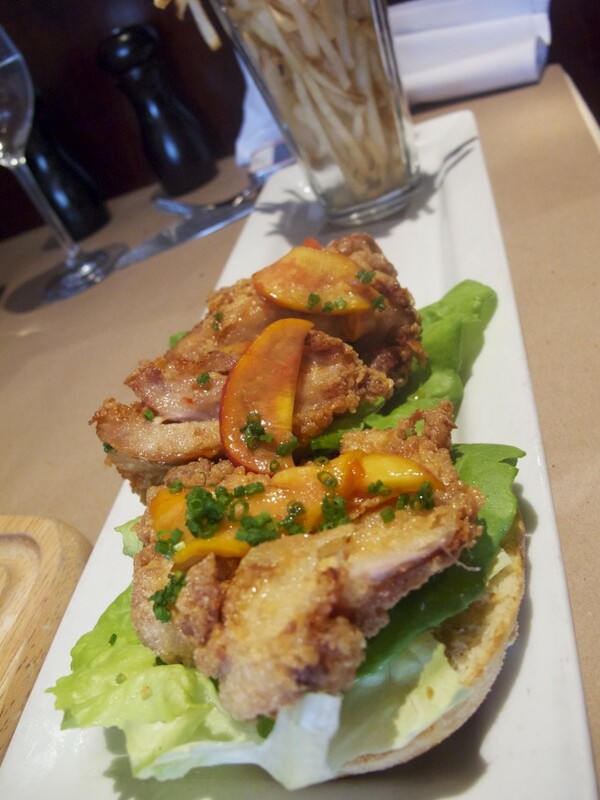 Lisa Swift also joined us and got this fried chicken sandwich platter with truffle fries. Sigh. 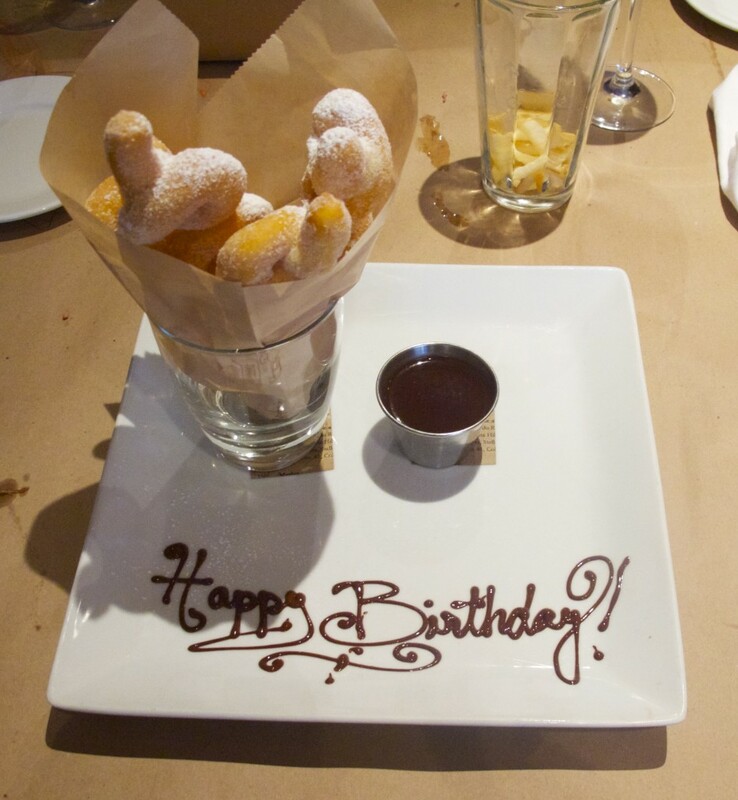 And… coma. Our server was excellent — one of the two best we’ve had on our tour thus far (the other great one being at The Boat House in Richmond). He chatted with us about our travels and gave recommendations in a few cities, and he even brought out complimentary “Pig Tails” donuts for Mike’s birthday. One caveat: The Ravenous Pig did not have a high chair or even booster seat for Max, rendering them very kid-unfriendly. And Max was having a banner fidget day, running around this particular restaurant getting stinkeye from various patrons and employees. 6. 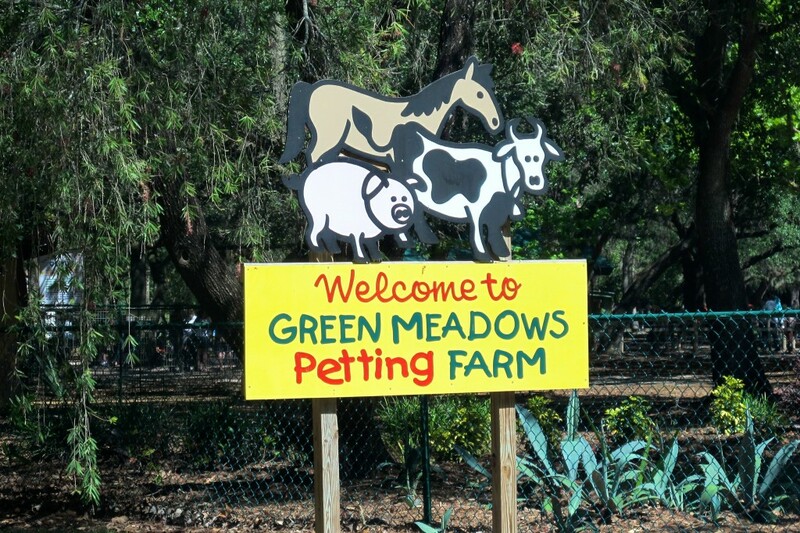 Green Meadows Petting Farm in Kissimmee. For $23 (or less with this coupon) for each visitor over two years old, this is a relative steal if you have younger kids. You could spend up to half a day here not only visiting the pigs, cows, goats, sheep, chickens, turkeys, ducks, geese, and donkeys, but also exploring their multiple playgrounds, and taking a train ride, tractor-drawn hayride, and pony ride. There’s also (randomly!) 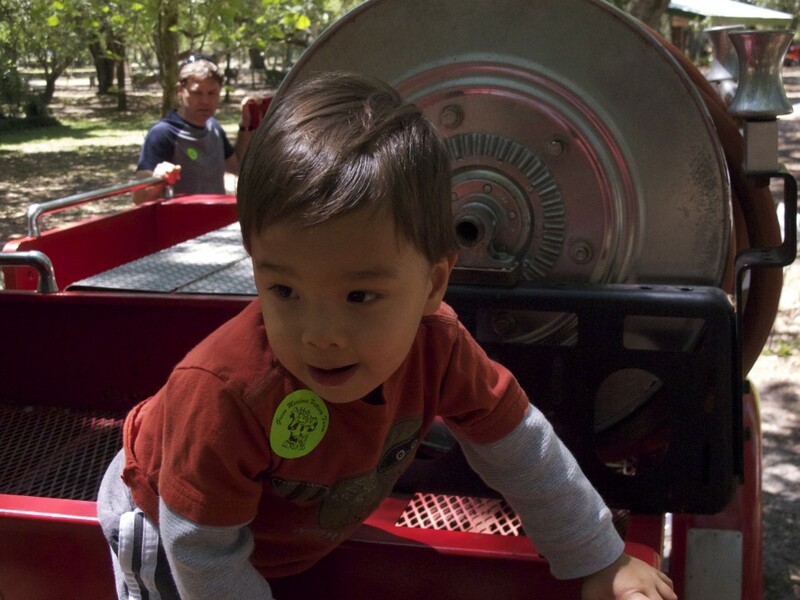 an old fire truck that the kids can climb all over — Max’s favorite. 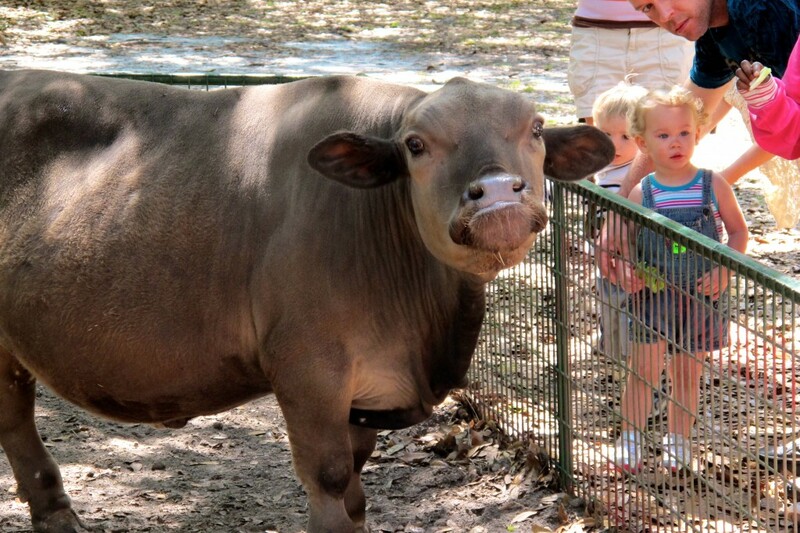 Elmer, the Asian water buffalo, only ate lettuce leaves from us. 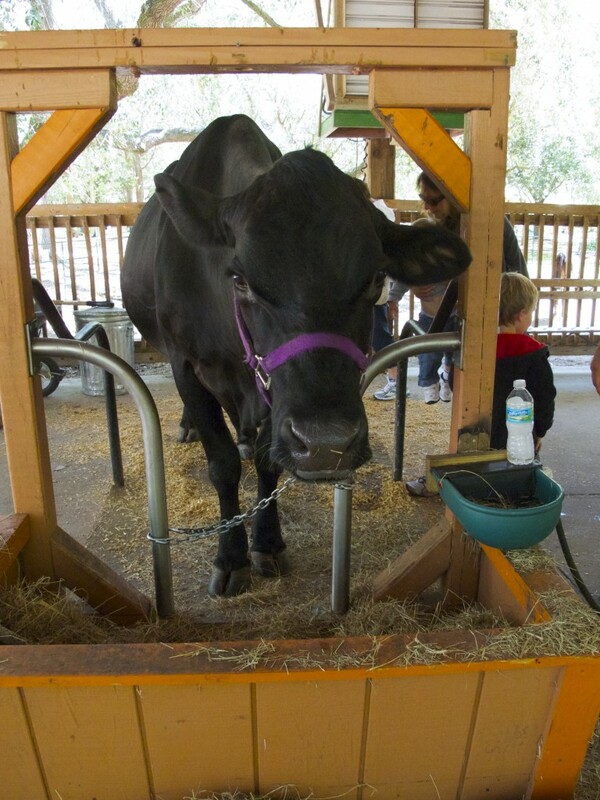 We even got to milk a cow! A bona-fide lactating cow! It was a little strange for this once-nursing mom, I’m not gonna lie. I suppose these are mommy issues I might need to suss out in another blog post. 5. Barnie’s CoffeeKitchen. Again, in downtown Winter Park we ate one of the best brunches we’ve had in a while. Barnie’s had all the makings of a formulaic chain like Starbucks, judging from their logo and branding, but the food was just so outstanding and artfully presented. 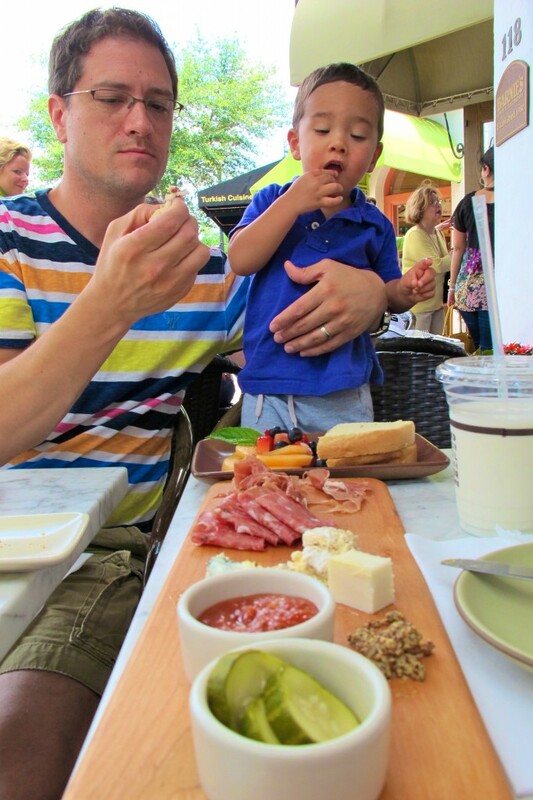 Below, Mike and Max enjoy a charcuterie board, al fresco. 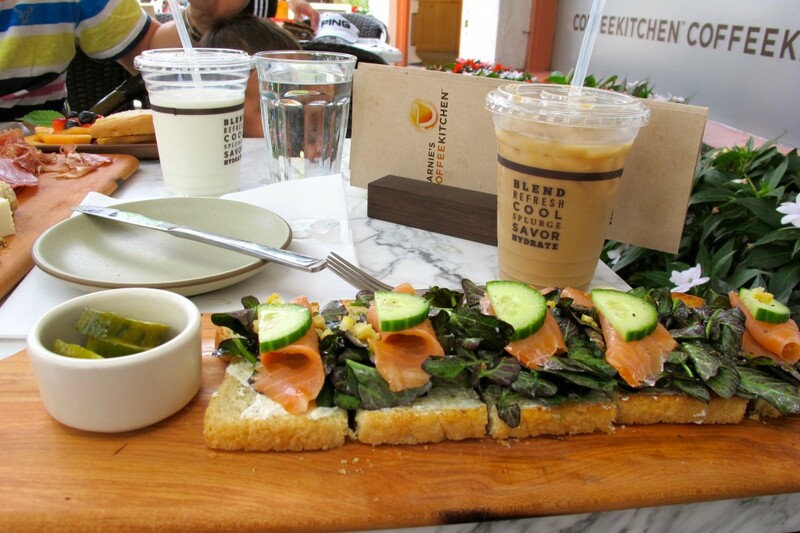 I had this delicious smoked salmon tartine, with red watercress, cucumbers and creme fraiche. Light and tasty, it went perfectly with my iced coffee. Heaven! 4. Downtown Disney. If you want to surround yourself with the aura of Disney but not pay the theme park entrance fee, check out this shopping and restaurant extravaganza. 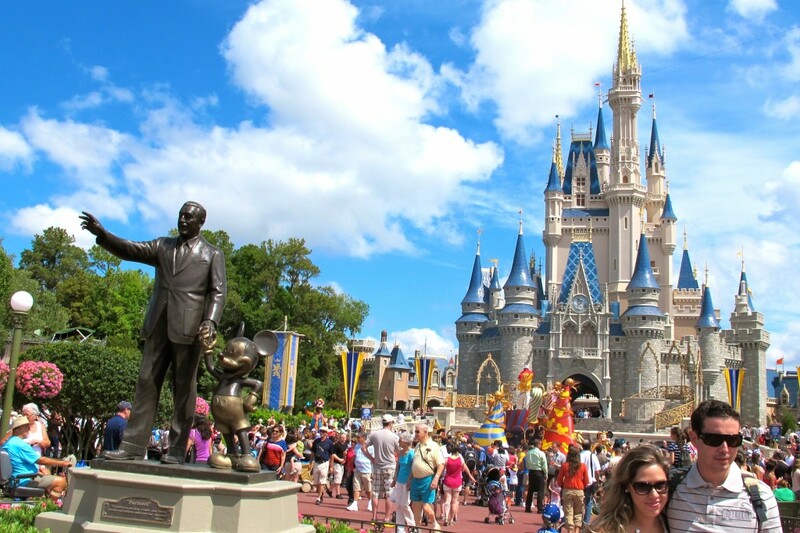 There’s an inexpensive carousel and train ride, plus stores galore with Disney merchandise and a “princess salon” where Hero and Genesis transformed into the character of their choice. A performance stage anchors the complex with a full slate of shows going on in a loop, as well as a collection of restaurants ranging from the T-Rex Café (scary!) to the Rainforest Café, and our personal favorite, Pollo Campero — Mexican-style grilled chicken, an inexpensive and delicious option. The Lego Store displayed some fantastical creations; check out the massive dragon in the water, made entirely of legos! 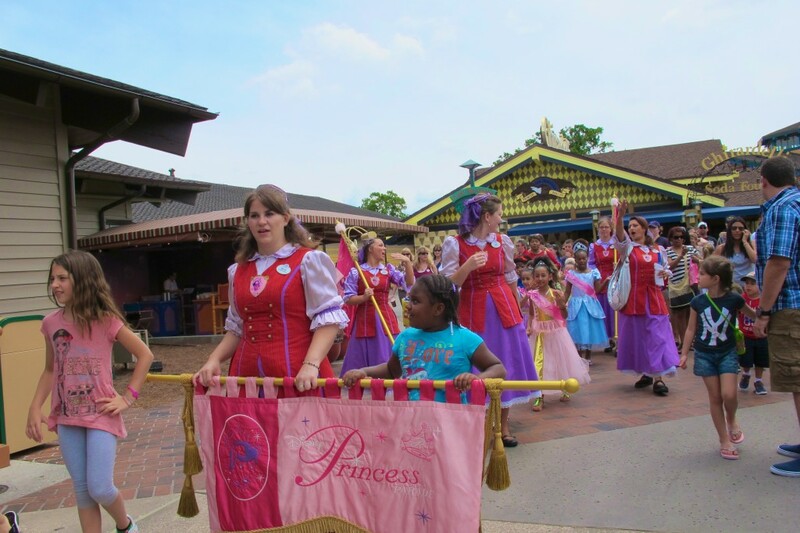 And Genesis got to lead the Princess Parade through downtown Disney. Now here’s a young lady who seizes every opportunity that comes her way! 3. 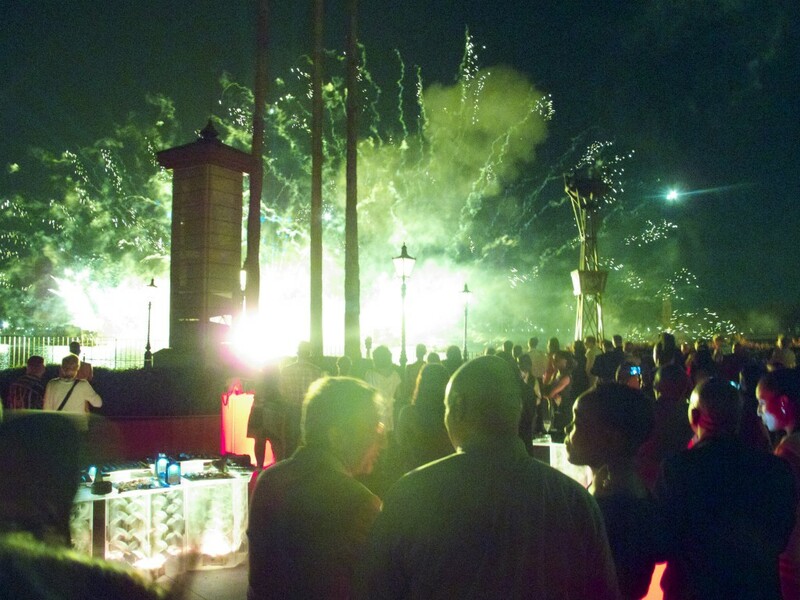 Downtown Celebration. This small and pleasant town square area in the city of Celebration, FL was impeccably designed, decorated and maintained in an extremely modern Rockwell-painting sort of way. 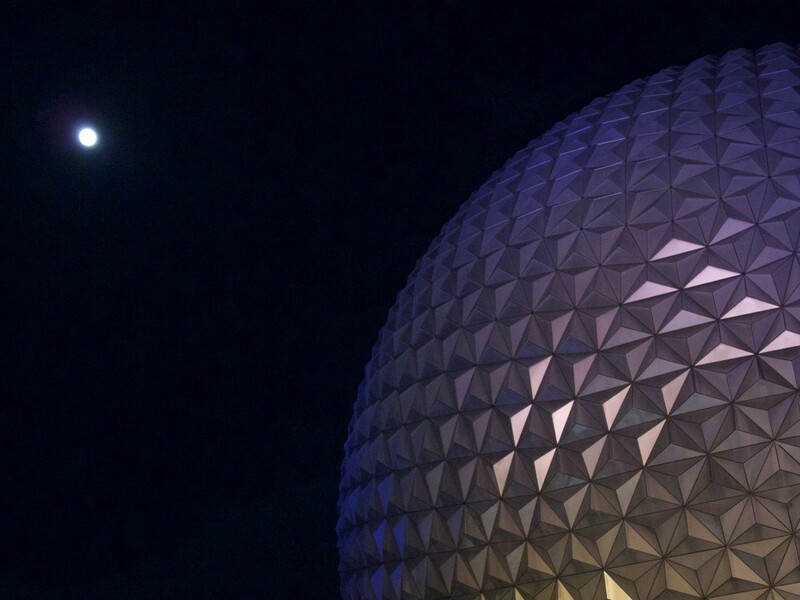 I read that it was a master-planned community, originally developed by Disney. Ah! Makes sense! We loved how kid-friendly all the restaurants were, and we frequented the yummy Seito Sushi and Thai Thani when we wanted a break from cooking at home. 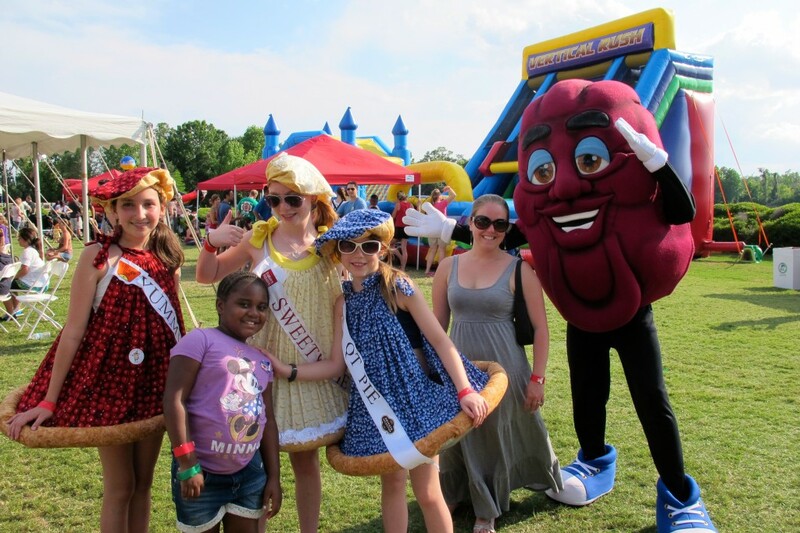 The town square was host to various weekend events, including a pie festival that we definitely took full advantage of. Celebration didn’t have the crowds or mania of the theme parks, and it was close enough to Siberia Davenport where we were living that it proved a nice, close getaway. 1. Winter Park scenic boat tour. I have to thank my Duke classmate Neil Young for this recommendation, as he grew up in Winter Park and told me that this gorgeous tour was not to be missed. Max, Lisa and I took the last boat of the day on the last Saturday we were in town, and what a relaxing way to cap off our stay in Orlando! 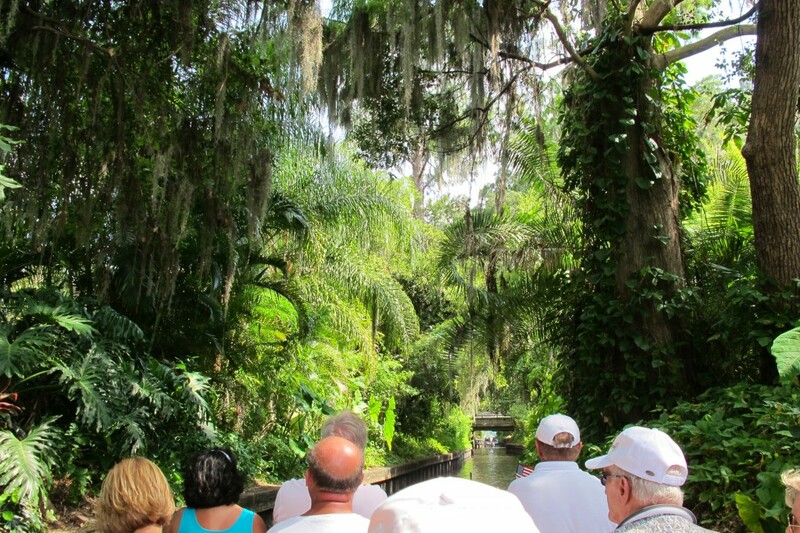 We had a tour guide who narrated our way through the beautiful lakes and canals of historic Winter Park. I felt transported to another world as we drifted through the swaying palms, towering cypress trees, lush ferns and Spanish moss. 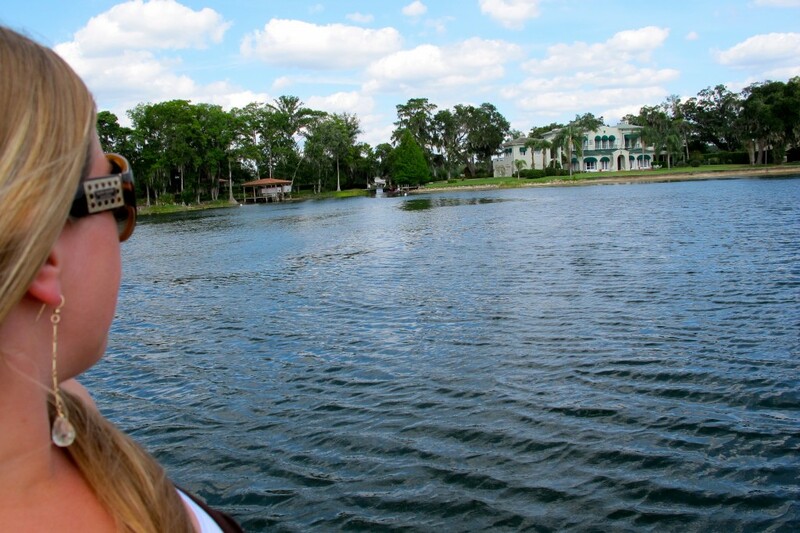 And who doesn’t love imagining that the sprawling mansions that lie along the shores of Lake Osceola are yours? Max waited patiently on the dock for our boat to pick us up. 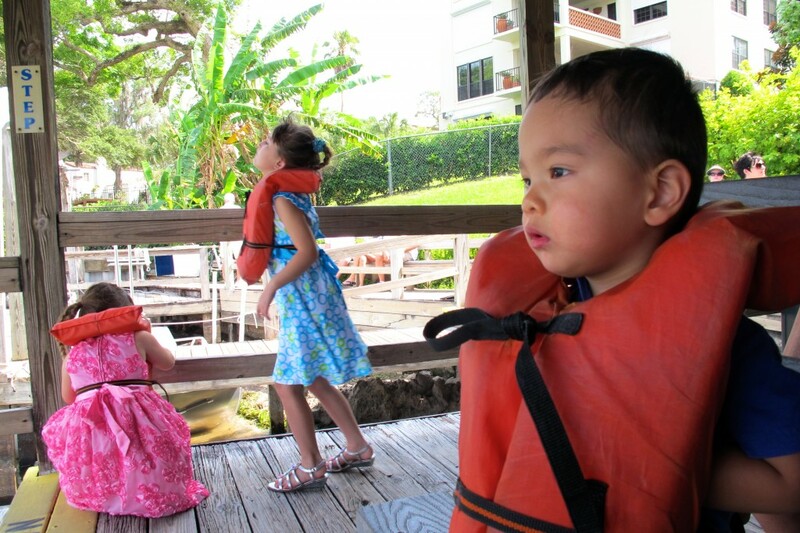 He would only be allowed on board if he kept his life vest on; and it was questionable for a bit, as he tugged at it at first and started whining, but seeing the older girls wearing it made him stop. “One day, we’ll have a home right on the lake!” said Lisa wistfully. We passed a few “for sale” signs on some properties, surely in the millions. 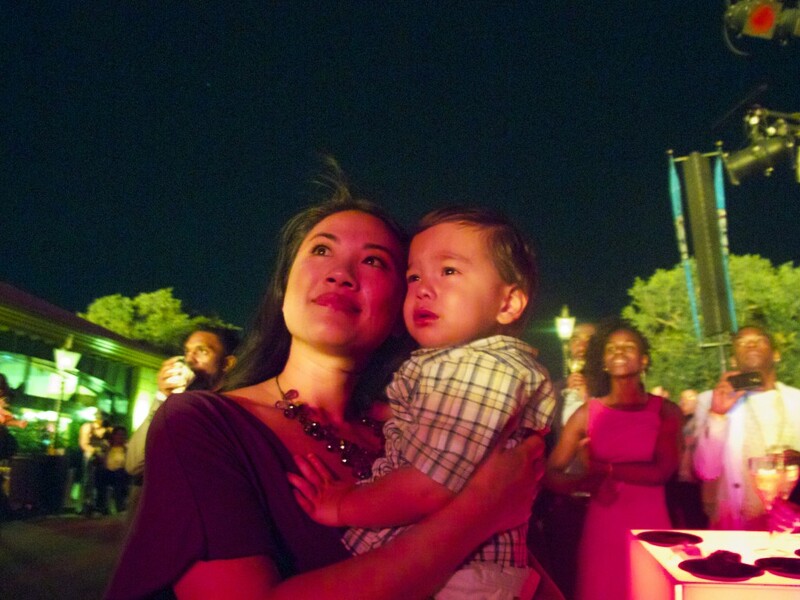 Our Top Ten is over, but we have some photos that deserve some highlighting! 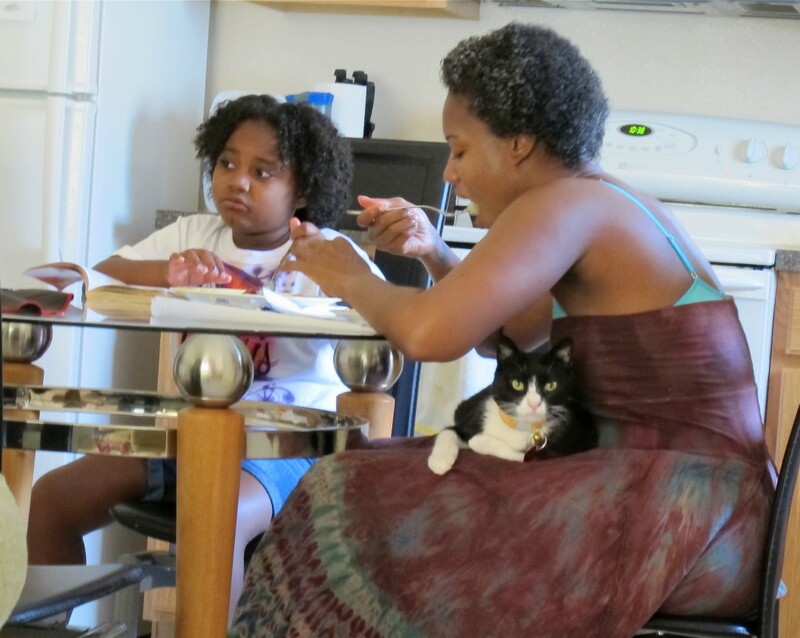 The scene at our Davenport home was usually chaotic and lively, with 3 families and 3 kiddos under one roof. 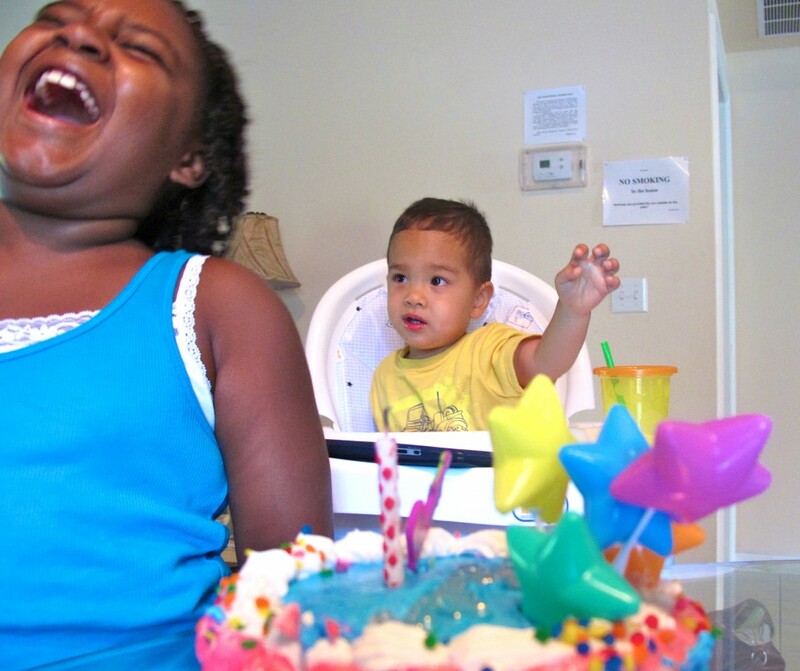 We have no idea what Genesis is braying about in this photo, but Max is truly concerned. 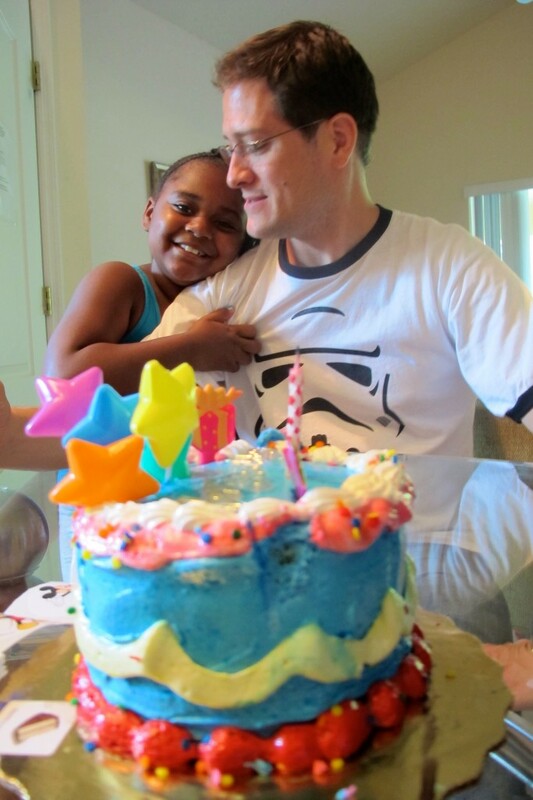 Gen and Rashada got Mike a cute colorful cake for his birthday, and here he is getting a hug from Gen before he cuts it. 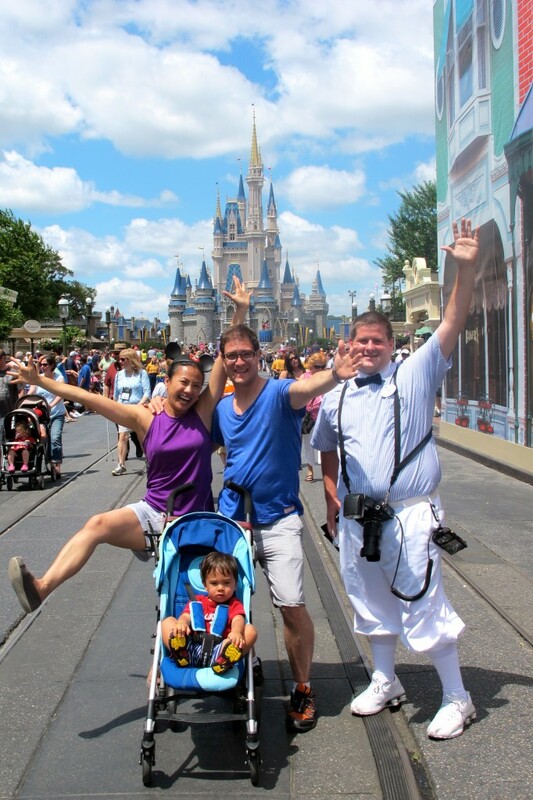 As we were leaving the Magic Kingdom, one of the employees offered to take a photo for us, but allowed his colleague to jump in. We forgive him, because Max looks so incredibly peeved as well. There was no chance for any normalcy whatsoever. I look like I’m peeing on a hydrant, except the hydrant is my son’s stroller. Turkey our cat finally arrived from Portland to join us on tour, and he absolutely loved living in the large Orlando house with the multitude of humans lavishing attention on him. Often, he’d sneak onto Rashada’s lap, like you see here. 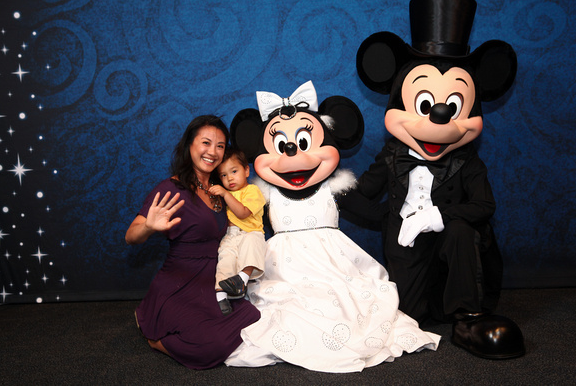 Max got to meet Minnie Mouse, whom he talks nonstop about at home. But finally in person, cold feet abounded, and he mostly ignored her. I did capture a rare display of fondness below. I have no idea how. What a great time you guys had! 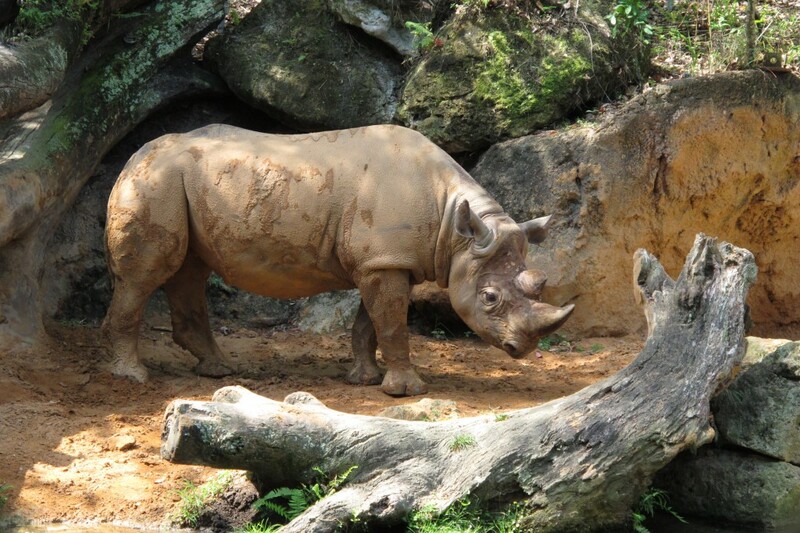 It looks like you had plenty of time to enjoy Central Florida. Happy trails! Great tips! It was very helpful 🙂 A big thanks all the way from Brazil!